We continue this series of blogs pertaining to global business practices and some of the lessons learned from decades of experience implementing global expansion strategies for Fortune 500 companies. Middle market enterprises desiring to start or continue their international and multinational expansions are well advised to reflect on some of these critical factors when creating their distribution strategy. 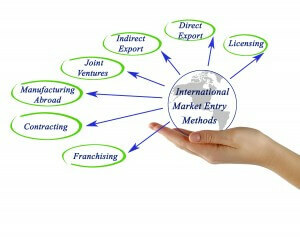 One of the early strategies to enter a foreign market is that of setting up foreign distribution. In this blog, I will not expand on attributes of this particular entry-level approach to foreign expansion but rather, I will highlight the dilemmas that international and multinational enterprises face as they attempt to grow market share abroad through their existing distribution channels. Can your brand be better represented by another distributor? Can your distributor become your competitor? Can the distributor do a better job of collecting and communicating to you the voice of the customer? Is the distributor missing great revenue and profit opportunities because it does not have the resources or the knowledge to expand your product reach, cut costs, and maximize customer satisfaction? These questions need to be addressed first internally and then at the distribution level. Internally because management may have been doing business in the same way for so long that changing the paradigm is simply not in their radar. As such, if the answer to any of the questions posted above is yes, the C-Suite needs to carefully examine their international business development team and implement the necessary changes. The overall intent here is not to simply contemplate personnel change, but to perform a holistic evaluation of the distribution strategy including training, support, marketing, supply chain, voice of the customer, and best practices shared among the distributors. Any changes being made need to be supported by the correct KPI’s that measure performance on both a short term and long term basis. If the existing team does embrace the changes and is able to effectively implement the necessary changes, then the distributors will have a greater potential to succeed. Secondly, your company needs to carefully asses the very delicate relationship with its distributors. In my experience, particularly in the developing world, distributors are owned by very influential individuals with deep business and political relations. Any drastic change to a distribution strategy may jeopardize the entire market in that particular region/country. Ideally, your company needs to work with the distributor to help them evolve into the company that you need them to be. The distributor that buys in and wishes to champion the local change is one that your company needs to embrace and consistently incentivize in multiple ways. The last, but many times necessary, alternative is to change distributors or replace them with your own presence in that country. This is of course costly and may take considerable time. The C-Suite will need to buy in to this approach and clearly understand all the short and long term implications of such a decision. A successful global distribution network requires senior leadership to clearly think through its Market Effectiveness Strategy. Market effectiveness is the process of translating strategy into relevant product portfolios and developing marketing and sales programs that will successfully support products for a specific country or region. As stated above, there are many obvious things that need to be considered, but when properly done, the Market Effectiveness strategy will also uncover local market nuances. When considering a global expansion, it is important to work with people who understand the intended market and to create a launch strategy that leverages the market strength of the company’s products while targeting service or product gaps in the new market. Understanding those gaps is the key to the strategy for a successful venture and will have a significant impact on your final distribution strategy. You can read more about these types of global initiatives here.